The system introduced here is Air to Liquid type thermoelectric cooling/heating unit with 170 watts cooling power where we use heat sink with fans for heat dissipating of thermoelectric modules to cool or heat up the circulated water or liquid. 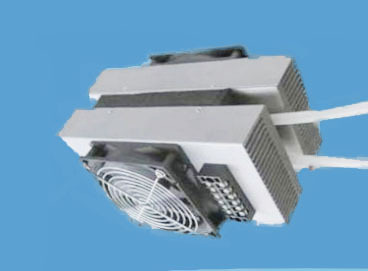 The system introduced here is Air to Liquid type thermoelectric cooling/heating unit with 200 watts cooling power where we use heat sink with fans for heat dissipating of thermoelectric modules to cool or heat up the circulated water or liquid. TEHC Series thermoelectric modules is a single stage module made of selected ingots for superior cooling and achieves temperature difference up to 74℃ in one stage. TETC/TETS Series thermoelectric modules is good for the need of frequently cooling down and heating up to 100 ºC application. It can run up to million cycles with less 3% degrading. The system introduced here is Air to Liquid type thermoelectric cooling/heating unit with 340 watts cooling power where we use heat sink with fans for heat dissipating of thermoelectric modules to cool or heat up the circulated water or liquid. The system introduced here is Air to Liquid type thermoelectric cooling/heating unit with 800 watts cooling power where we use heat sink with fans for heat dissipating of thermoelectric modules to cool or heat up the circulated water or liquid. 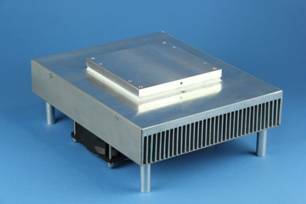 The system introduced here is Air to Cold plate type thermoelectric cooling/heating unit with 240 watts cooling power where we use heat sink with fans for heat dissipating of thermoelectric modules to cool or heat up the cold plate. 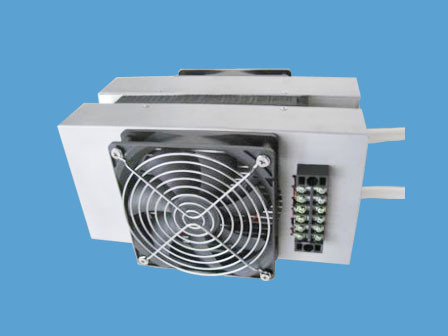 The system introduced here is Air to Cold plate type thermoelectric cooling/heating unit with 400 watts cooling power where we use heat sink with fans for heat dissipating of thermoelectric modules to cool or heat up the cold plate.